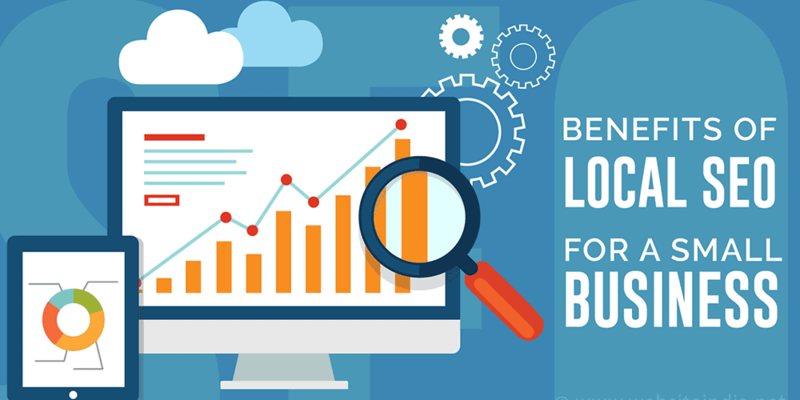 Local SEO is becoming increasingly important for businesses everywhere. If your customer base is predominantly in specific identifiable areas, rather than internationally-based, local SEO services are what your company should be focusing on. Concentrating your SEO efforts locally has many advantages; better relationships with local businesses, more customer reviews and ratings, the ability to market to specific audiences, and more. Every day more businesses are taking to the digital world to promote themselves. While it may be difficult to break through this mass of competition as a whole and rank globally, it is considerably easier to climb to the top locally. Location-specific keywords and content tailored to your business’s locale will help you get the attention of interested customers at the exact time they’re searching for your services. With the help of a local SEO company, you can get your business thriving within your local market. Instead of creating large, generalized marketing campaigns for mass audiences, target local customers at the exact time they’re searching for your services. Utilize knowledge of your local demographics to respond to their specific needs. Highly specific, or “niche”, keywords allow you to communicate with distinct audiences. Your reviews from customers on Facebook, Google My Business, and Yelp will directly boost your Local SEO relevance. Google favors highly-rated businesses when generating local results. Linking with local businesses can have more influence than linking to larger general directories and websites. It will facilitate reciprocal referrals and relationships too! Start generating business in your area, and local media will be intrigued. It’s easier to get published in your local paper than a big-name news outlet. Local SEO is all about taking advantage of your respective market insight. By targeting your SEO efforts to specific audiences and using niche keywords, you’ll have a better chance of connecting with customers, you can tailor your content to be relevant to them, and make your services seen when they perform online searches. Ask your loyal customers to post reviews online, and consider linking with other local businesses on your website. Building these relationships will be invaluable for optimizing your local SEO ranking. Finally, when you begin to make an influence in your local market, media outlets will take notice. Working with local news media opens up more marketing opportunities to speak directly to niche demographics. Maintaining connections with local radio stations, TV stations, and newspapers are effective marketing avenues and in turn, boost local SEO. Seek the guidance of a local SEO company to help you attract distinct audiences in your local area. Local SEO services involve identifying location-specific keywords, attaining Google My Business authority, managing B2B relations, and more. I am an IT and business support specialist with a natural ability to turn my hand to all things technical. I have built and developed company websites, using platforms such as WordPress, and helped businesses create and promote their brand identities, both online and offline. This has included all aspects of digital marketing, search engine optimisation and social media marketing.